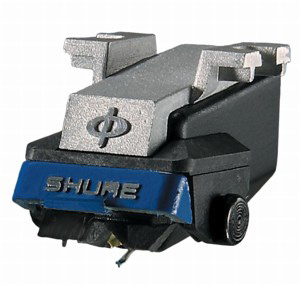 Shure M97xE Audiophile DJ Cartridge DJParts - All Variety of Parts that DJ Needs. This cartridge is able to accurately reproduce very difficult musical passages, particularly in the high-frequency range, where audio modulations are the smallest and most concentrated, and stylus tip movement is consequently the most rapid. Its highly precise tracking ability and flat frequency response are made possible by Shure's unique Type II low-mass thin-wall aluminum alloy stylus cantilever, combined with a precision-crafted, finely polished, elliptical diamond tip.